For the last several years the recipe for beating Fiji has been simple: have more possession. Unfortunately for the Eagles difficult weather conditions and untimely knock-ons failed to do just that as Fiji went on to win their Cup semi-final 21-14. The U.S. will now play South Africa at 6:28 p.m. et/3:28 p.m. pt in the 3rd/4th place match. The strong wind was a major factor not only in the U.S.-Fiji match but all day. It let its presence be known early as Folau Niua's opening kick didn't go the 10 meters. That gave Fiji the possession they would need. After several phases Fiji finally got the U.S. to overcommit allowing Jasa Veremalua to go in for the score. 7-0 to Fiji. 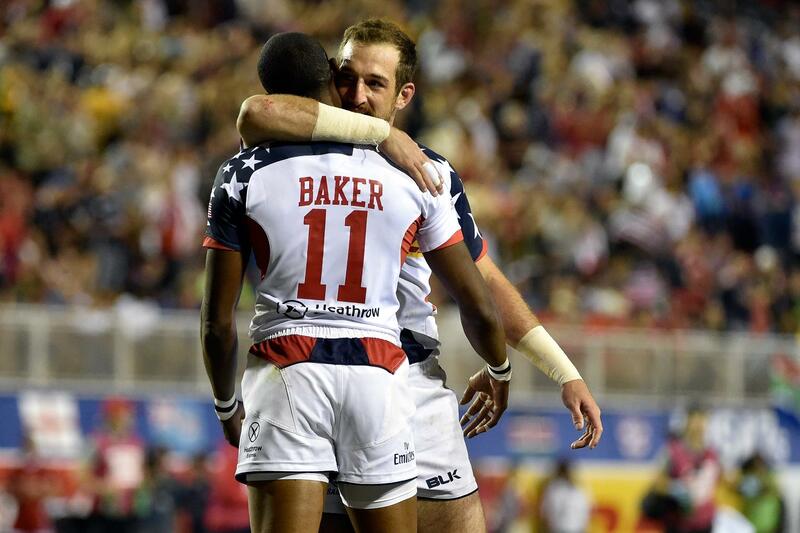 The U.S. enjoyed their first spell of possession after the try but were unable to punch it. Similarly, Fiji also weren't able to score as the U.S. did well to stay firm in their tackles. With the ball back in their hands the U.S. nearly gave it right back up five or six times but did well to maintain possession. Eventually that led to Danny Barrett busting through to tied the score at 7-7. The Eagles had the opportunity to take the lead on the last play of the half but the wind or trying to compensate for the wind pushed the ball past the lineout and into Fiji's hands. From there it was simple passing out for the try and a 14-7 lead at halftime. Fiji started with possession in the second half but once again U.S. tackling was firm. They also got great work from Martin Iosefo to earn a penalty at the breakdown. The U.S. the got an advantage when Fiji had a man sent to the bin. There were shouts from the U.S. for several cards in the match but this was their first opportunity. Unfortunately it resulted in more handling errors. After one knock-on Fiji took it the other way for their third try and a 21-7 lead. A nice looking skip pass out to Ben Pinkelman put the Eagles back on the attack. Once again, like a broken record, the U.S. knocked it on, killing the chance. Another yellow card to Fiji with a minute left gave Perry Baker the space he needed to score with only 20 seconds left. Madison Hughes hit the quick conversion but on the restart the wind grabbed the ball and pushed it long, allowing Fiji to kick it out. We spoke with Mike Friday after the match.